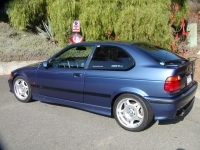 SOLD: 1996 332Ti M-Sport Alaska Blue, Grey Millpoint/Black leather, Slick Top (sunroof delete). I've noticed that there are many posts, here and on the Facebook page about people wanting to do a swap. Don't do it, buy one already done, and save a bunch of money. I've got way more $ in this than I will ever get back, but it was fun to do it (once). Buy mine a save a bundle. This is a twin to my 96 M44 Ti, found this one on the 318Ti.org in 2013, purchased it and completed the build to my specs. Fully sorted out, runs great, and has been reliable since I got it certified in California for smog. Needed to have all emissions equipment added. Also added M3 brakes, Z3M trailing arms, M3 LTW wheels and many other pieces. 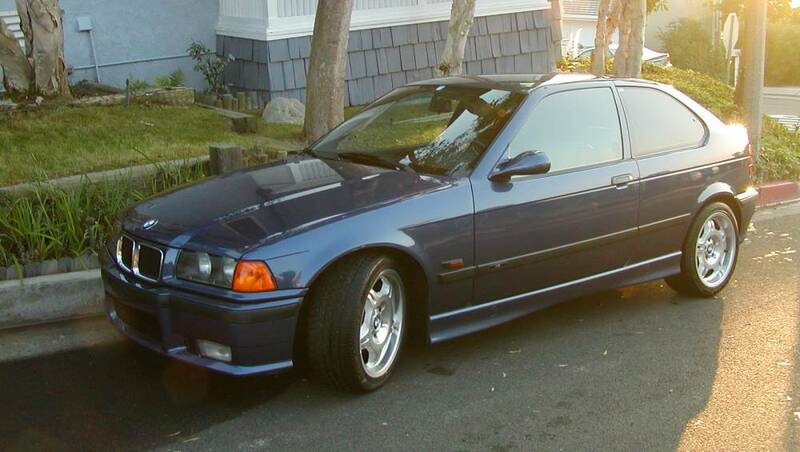 Need to sell due to 1) 2 car garage, 2) 4 cars + my daughters E46 touring, 3) 1 wife and 4) purchased a M2 so I don't need another track capable car in the fleet. Would love to keep them all but it's not possible. Complete M3 (S52) 6 cylinder swap, including ZF transmission, M3 exhaust w/catalysts, Secondary Air pump, full wiring harness, Instrument Cluster, DCE computer and EWS module. BAR certification as to all California smog requirements. A fully sorted M3 powered 318Ti for use at Driving events, AutoCross and Track days. Reliable and powerful. Fun driving. That is an awesome Ti! Thanks, hate to see it go, fun tide!